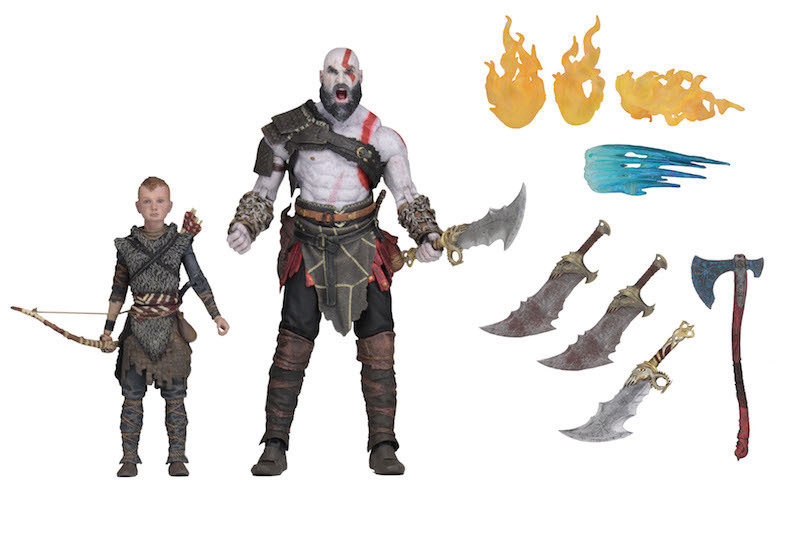 NECA Releases a God of War Two Pack which every fan needs! 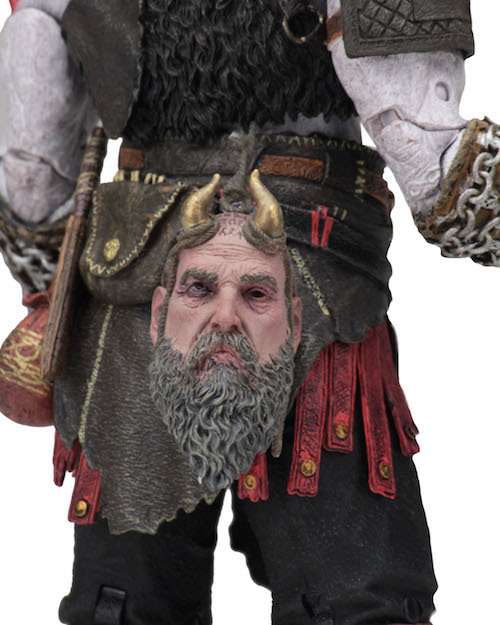 I have to say at last years SDCC I got incredibly excited and impressed that NECA had the rights to the new and at the time upcoming God Of War game. The figure of the new Kratos both in 7″ and 18″ looked mightily impressive. That figure arrived earlier this year and it’s an incredible figure. It’s so good that I had to get two of them! It’s one of my favorite figures released this year. NECA is a big fan of the license themselves and were very keen to do more with the license and they did say they had plans to release other figures from the game. At SDCC NECA revealed what I knew would be on the cards a Kratos and Atreus two pack. As there’s no way that you could display Kratos without his son who I know to be an integral character in the game. I haven’t had the chance to play the game myself yet but I have seen plenty of footage and images to say that NECA has recreated the characters perfectly in plastic 7″ form. 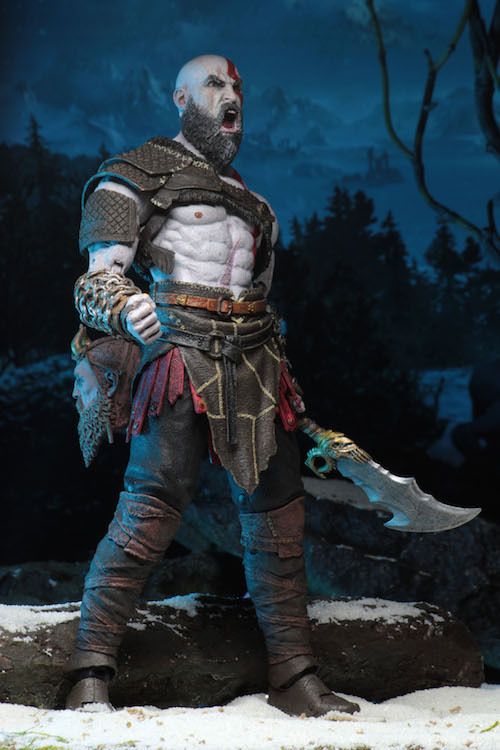 The Kratos figure is almost exactly the same as before aside having a new head and new forearms and Mimir’s head sculpted on to his belt at the back, though I am not sure if that’s removable of if he can hold it. 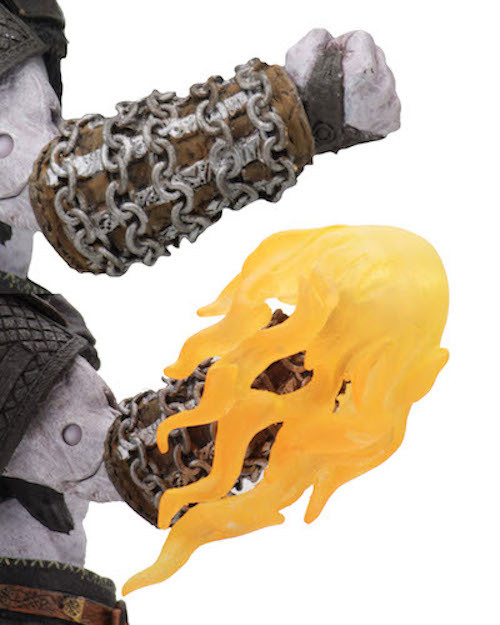 He also comes with interchangeable hands, knife, Blades of Chaos, Nordic Blade of Chaos, Leviathan Axe, Collapsed Sheild and Fire & Ice effects for weapons and fists. For this figure alone I would get this set as I love the aggressive head sculpt and the new accessories. The weapon effects are a great added touch and add a lot to the possibilities of posing this figure. Like the original figure, he comes with over 30 points of articulation and is as highly detailed as the original figure. The main reason many fans want this set is the inclusion of Atreus. Fans have wanted a figure of “boy!” since the game came out. 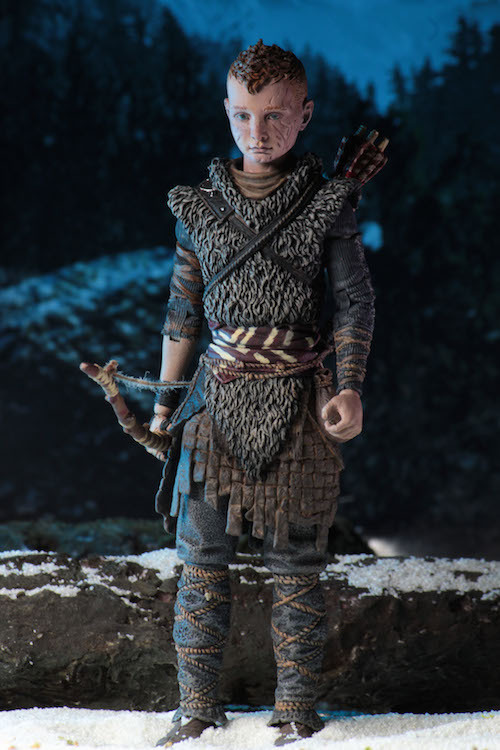 Atreus comes with a knife, quiver (of removable) arrows and a bow with an actual string. Like Kratos, he is highly detailed especially in his costume with the wraps and fur pelts making the most of his costume. I love the head sculpt as well with the faux mohawk hairstyle and the scarring on his face are very well done. 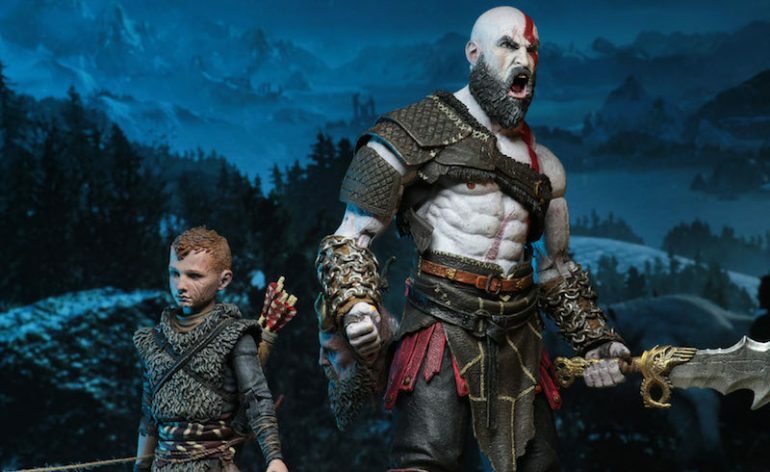 Atreus also features 25 points of articulation, I would have expected less than Kratos as he’s a much smaller figure, though 25 is still very good for action figure his size. It’s an absolute must have this set if you’re a fan of the original Kratos or the video game. This set is worth getting just for the Atreus alone and the upgraded Kratos is just the icing on the cake really. This set is expected to be released sometime later this year in the winter and will cost around $50-$60.